Home Features Burnley preview: Courtois or Cech? Burnley preview: Courtois or Cech? Monday night, Chelsea begin the 2014-2015 Premier League season with high expectations and high standards for this season. Chelsea are the Premier League betting favourites with Betfair and with good reason. Their first opponents are newly-promoted Burnley and a trip to Turf Moor could prove to be a good test of the squad’s composure in the month’s to come. This Chelsea squad should be aware of history, however, when back in 2009, Burnley opened their first season in the top-flight for 33 years with a win at home to Manchester United in their second match of that season. Those who don’t learn from history are doomed to repeat it, and Jose Mourinho’s team will be well aware of the pitfalls that may await them away from home. This Chelsea team was described as a “little horse” last season by manager Jose Mourinho, but with additional creativity through midfield in Cesc Fabregas, an all-around striker in Diego Costa, Filipe Luis who was stellar for Atletico last season, and the returning Thibaut Courtois that description no longer fits this team. 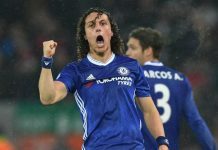 They have been tipped to be the favorites for the title by many, but the returning players will have to avoid defeats like the ones to Crystal Palace and Sunderland that may have cost them the title last year. On the other side, Burnley manager Sean Dyche has been described as the “Ginger Mourinho” and has done well to navigate the dangers of the Championship to bring Burnley back to the Premier League by finishing second last season. This season, it looks to be a fight for Burnley to stay in the top flight, particularly as they have found it hard competing in the transfer market against more-established Premier League sides or sides going to down to the Championship looking to bounce back next year. However, Dyche’s team weren’t built on their ability to attack, but on their ability to disrupt play through pressing in transitions, stay compact when defending, and play it out quickly and decisively between the lines and through channels. Burnley may very well shock one or two teams this year, but Chelsea shouldn’t be one of them. As I described their basic style of play, one or two things should ring a bell. While Dyche cites Brian Clough as the main influence on his way of playing, it isn’t too dissimilar to the same things that a Jose Mourinho team likes to employ. It is also a style that we know is hard to break down, and it isn’t surprising that Burnley conceded just 37 goals in 46 matches en route to promotion. Because the style is very similar, Mourinho will know that the key to beating this Burnley side will be invention, possession, and ruthlessness in front of goal; the very things that this Chelsea side sometimes lacked against teams that set out a defensive-minded side. Fabregas and Costa were added to the squad with the purpose of combating the problems that existed last season in unlocking defences, and this should be a good first test for the Blues, as I would expect many people to sit back and defend against us this season. Burnley, however, will however have a slightly different look from last year’s side. Last season, Sam Voakes and Danny Ings formed the best strike partnership in the Championship, combining for 41 goals between them. It allowed Burnley to keep to out balls to release on the counter with a 4-4-2 formation, as long as you can disrupt the opposition enough. The problem for Burnley is that Vokes is out until Christmas and reinforcements have been hard to find. Troy Deeney of Watford was targeted, but the asking price has proved to be too high for Burnley, possibly because of the £11m that Fulham spent on Ross McCormack. It most likely will mean that Ings will be featured up front on his own in more of a 4-4-1-1 or 4-5-1. Burnley would settle into that shape when in defence, but attacked from a 4-4-2. It’s quite likely that 4-4-1-1 or 4-5-1 will be their default shape, but it may prove too defensive to get enough goals in the Premier League. It will also be interesting to see if Ings can account for half of the 21 goals he scored last season. Chelsea also have some interesting decisions to make in their shape. This season, Mourinho almost has an embarrassment of riches to choose from. He has so many players for so many different positions that he could play everything from 4-4-2 diamond to 4-3-3 to 4-2-3-1. There are just that many players. Preseason gave little indication of the system he will play, other than the fact that Diego Costa will start up front and Fernando Torres saw some time on the wing. 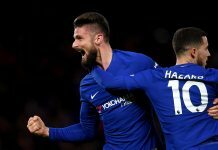 Outside of the first-choice CBs, John Terry and Gary Cahill, and Diego Costa at striker, the rest of the side isn’t necessarily assured of places. My belief is that the default formation of 4-2-3-1 will be the system of choice with both Fabregas and Nemanja Matic as the deeper midfielders with Oscar ahead of them, or with Matic and Ramires in the deeper areas with Fabregas in front of them. Even decisions on who to start Cesar Azpilicueta, Branislav Ivanovic, and Filipe Luis have to be made at left back and right back. For continuity, I believe Mourinho will settle on a starting 11 that he has faith in, but the players he has at his disposal should allow his system to be more likely to be tailored to opposition. It should also mean that we see less “parking the bus” than we did last year. Mourinho’s biggest decision: Courtois or Cech? Back in 2004, Mourinho had to make a decision: stay with the incumbent Carlo Cudicini or start a young goalkeeper named Petr Cech. That decision was made much easier with Cudicini missing the start of the season and Cech grabbing the chance to be Mourinho’s number 1. A decade later, Mourinho has a similar choice of staying with the incumbent Cech or start a young Thibaut Courtois. This decision may be even harder this time around. While Cudicini was a good keeper, he couldn’t make a claim to being one of the top-five goalkeepers in the world, which Cech can do. The problem is that Courtois can make a similar claim after three stellar seasons at Atletico Madrid. It’s a complicated matter because one of them will probably find themselves sitting on a bench that they don’t deserve to be on, but it’s one that Mourinho will have to make. By 2:00 PM on Monday, we may finally know what Mourinho is thinking. Previous article‘The ginger Mourinho’ will be left red-faced!